Changing things up a bit, going to try to get regular posts up of my film reviews for any film I happen to watch theatrically. I'll also occasionally update with movie news and Disney Parks news. As many of you may have already seen thanks to Marvel's press release about production being underway on Captain Marvel, Lee Pace (Ronan the Accuser), Djimon Hounsou (Korath), and Clark Gregg (Agent Phil Coulson) are all returning for this movie, as well as previously announced Samuel L Jackson (Nick Fury). I couldn't be more excited by the news that we will once again see Clark Gregg as Phil Coulson on the big screen. That said this could also be bad news for fans of Marvel's Agents of S.H.I.E.L.D. because it could undermine Coulson's backstory that we've already learned about in the TV show. 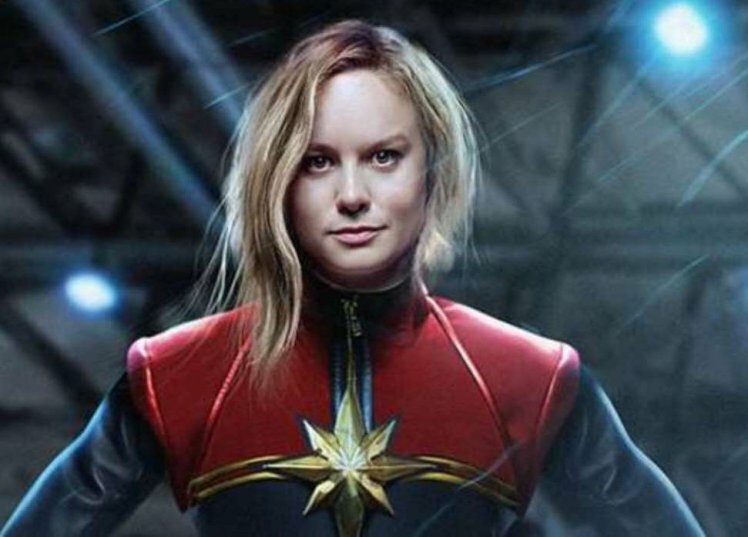 Lets take a deep dive into what I'd specifically like to see happen in this movie, as well as discuss previous opportunities to have SHIELD characters cameo in the movies and why I hope they turn the trend around starting with Captain Marvel. There will be many spoilers for Agents of SHIELD as well as just about every Marvel movie that has come out since Iron Man 3 so be prepared. Starting with what I hope to see happen in Captain Marvel to be a subtle wink at the fans of Agents of SHIELD. 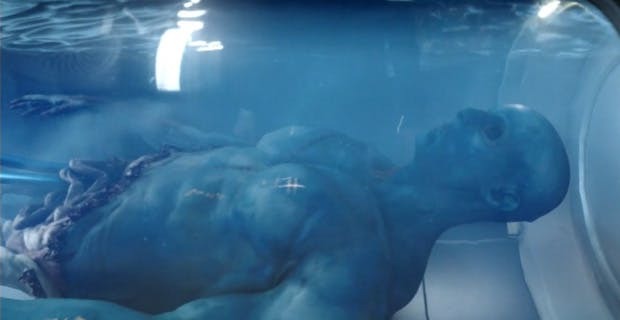 The first and most obvious thing is that I want to see happen in Captain Marvel is for Fury and Coulson to claim the body of a Kree soldier killed in the Kree-Skrull war for SHIELD to experiment on leading to what would eventually be the TAHITI project (Terrestrialized Alien Host Integrative Tissue I.) which would later (immediately after the events of the first Avengers) be used to save Phil's life and bring him back from the dead although the tricky part is that according to the show, the TAHITI project wasn't started until 2009, with the idea being to revive a mortally wounded Avenger (Episode 120 Nothing Personal). Thankfully I don't remember the show ever stating how long SHIELD had been in possession of the body prior to the project starting, so it is very possible that they had been keeping the body on ice for over a decade (since we know that Captain Marvel takes place sometime in the 90s). This however leads to a potentially new problem for connecting with the show, yet also a potential way to give massive fan service depending on how they approach it. 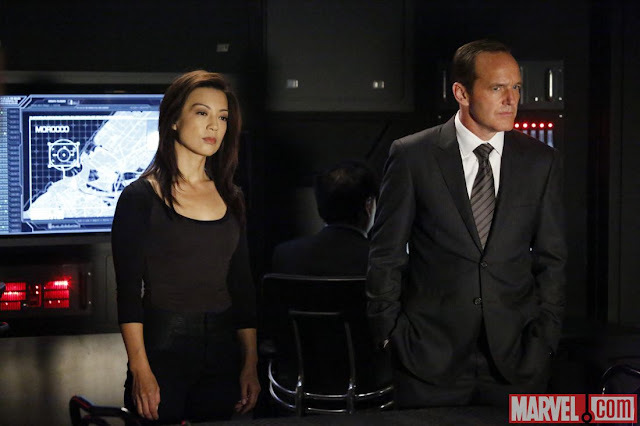 As we learned in Episode 414 "The Man Behind The Shield", Agents Coulson and May (Ming-na Wen) went on one of their first missions together to recover a Russian 0-8-4 (item of unknown origin). May even gives us a hint that it is Coulson's first field mission. At the time he was a level 4 agent and she was level 3, however to the episode's benefit it actually only says that this mission was "some time ago" as opposed to giving a specific year. 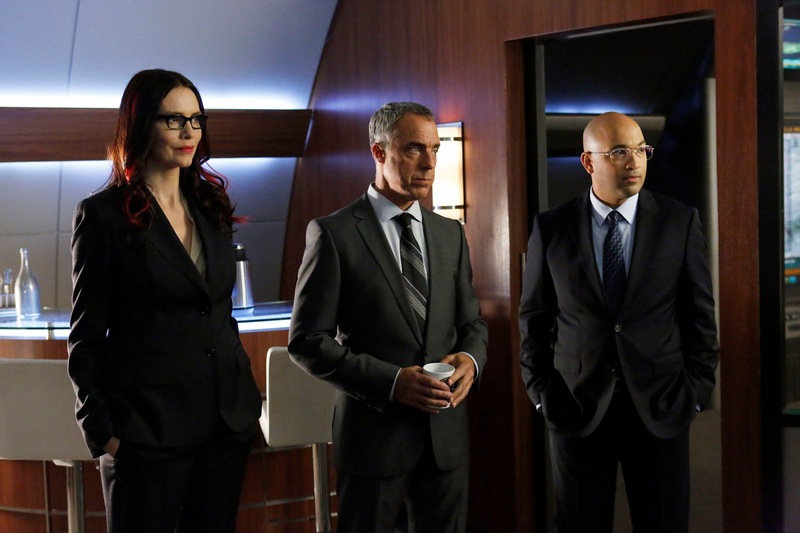 In the season 2 episode "Melinda" (217) we see Agent May's final mission before choosing to leave field work in favor of a desk job position in SHIELD. We see that this took place roughly in April 2008, just before the events of the original Iron Man when Coulson mentions that Fury intended to start the Avengers initiative and tried to recruit May, as well as that they are hard at work on building the Triskellion. We also then see why she earned the nickname "Cavalry", she had been interested in helping Coulson, but once she experienced Bahrain she left the field until Fury recruited her to watch over Coulson after his resurrection. Seasons 1 and 2 of the show worked much harder at interweaving with the movies as they came out. Right off the bad the Extremis group from Iron Man 3 were referenced, followed by being the clean-up crew after Thor: The Dark World. Then when Captain America: Winter Soldier came out they teed up the movie by sending Agent Sitwell to the Lemurian Star (where we first see him in the film) then deal with the fallout of the movie. In season 2 the show perfectly sets up Avengers: Age of Ultron by having Coulson's team searching for intel on Loki's staff which he then forwards to Agent Hill to forward to the Avengers. The episode even featured one of the villains from Age of Ultron escaping to Sokovia. 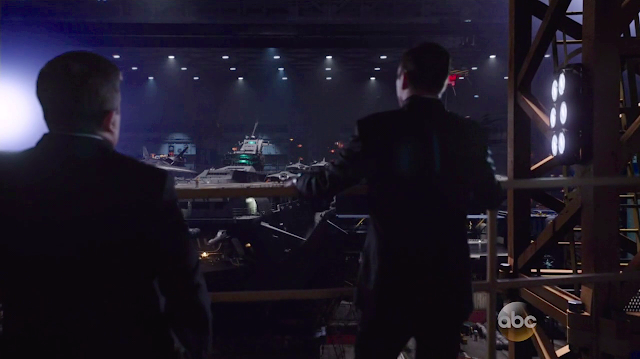 In the episode that came out right after the movie we discover that Coulson had secretly been building the helicarrier that Fury brought to help save the Sokovian people. This is actually also the first real opportunity that the movies had to give TV show characters a cameo. When we saw Fury on the helicarrier with May, IMO there still isn't a good reason that none of Coulson's team were on the bridge, easily Fitz and Simmons could have been present. Similarly someone could have been present at the beginning of the movie at the party where Hill was present, it could have been an excellent time to let the Avengers know that Coulson had been revived (yet to this day, to the audience's knowledge they don't know he is still alive). Over the years the show has had many actors from the movies guest star as their characters: Hayley Atwell (and the rest of the Howling Commandos), Samuel L Jackson, Jamie Alexander, Powers Booth, Cobie Smulders, Maximiliano Hernández, William Sadler, and Henry Goodman (there may be more that I'm forgetting). 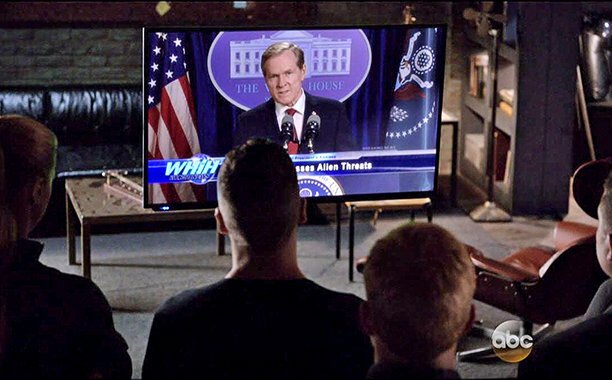 But they haven't had anyone yet this year, we haven't seen Fury since season 1, Hill since season 2, President Ellis since season 3, in fact I think he and Powers Booth were the most recent to guest star in season 3. Agents of SHIELD at its basic premise has the opportunity to crossover with every part of the MCU. They easily could have had crossovers with the netflix characters, Runaways is new enough that I can understand not crossing over yet (especially since they are young and the SHIELD team has been very busy this season), but how come they have yet to even mention the names of the Defenders characters to acknowledge that they know who those heroes are? They even went so far as to have Quake and Daredevil come from the same orphanage, but neither has ever referenced the other's existence. The Netflix shows have 6 different shows and they have all had great connectivity with each other. Even Inhumans (as unpopular as it was) referenced events in Agents of SHIELD, it was unclear as to when the show took place, but it was definitely after season 2's SHIELD finale. I'll be curious to see if Cloak and Dagger references any other Marvel properties when it premiers in June. Looking at the list of movies to have come out since Agents of SHIELD came out the following are the only ones I can understand not acknowledging the show: Guardians of the Galaxy 1&2, Spider-Man Homecoming since the team as in the future at that point, Thor Ragnorok, Ant-Man, Doctor Strange, and Thor the Dark World. Everything else was Earth based and if it came out while SHIELD was on (instead of during summer) should have at least acknowledged that SHIELD does currently exist. 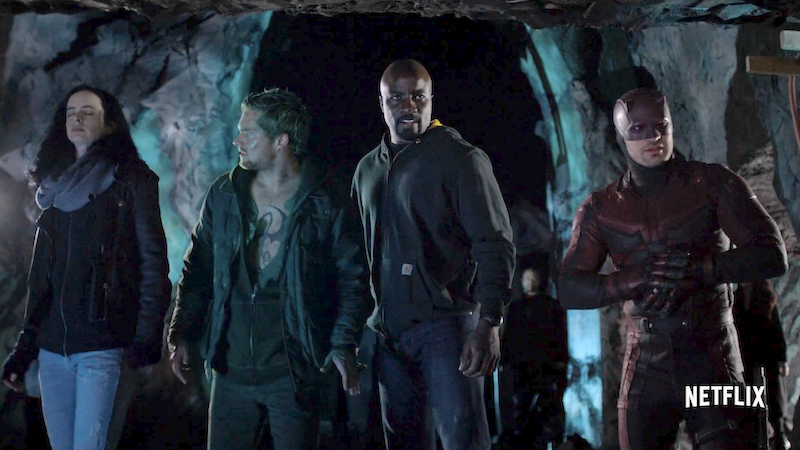 While Jeph Loeb (head of Marvel TV) and Channing Dungey (head of ABC) have both said they are optimistic about SHIELD being renewed, many fans have felt that this season feels like it is ramping up for a series finale, I truly hope it continues but if it does end, maybe after it we could finally see Quake show up in one of the movies, or a netflix show for a few episodes. And to circle back to the what sparked this post, Do I want to see TAHITI origins and Agent May in Captain Marvel? Hell yes, but being honest, I think there is about a 2% chance that either of those happens, and 0.5% chance that both happen.